We’re sure you can remember a couple of years ago when everyone was dying their hair a smokey shade of lilac, and it was a look that we absolutely loved so we are more than happy that it is back, but with a fresh twist. This year people will go crazy for more of a brighter metallic lilac and the stats show it is right around the corner. Pinterest’s searches for ‘lilac hair’ are up a staggering 1077%! After a surge in make-up trends during 2016 and 2017, with contouring being the star of the show, we loved the 2018 ‘minimal make-up’ trend. 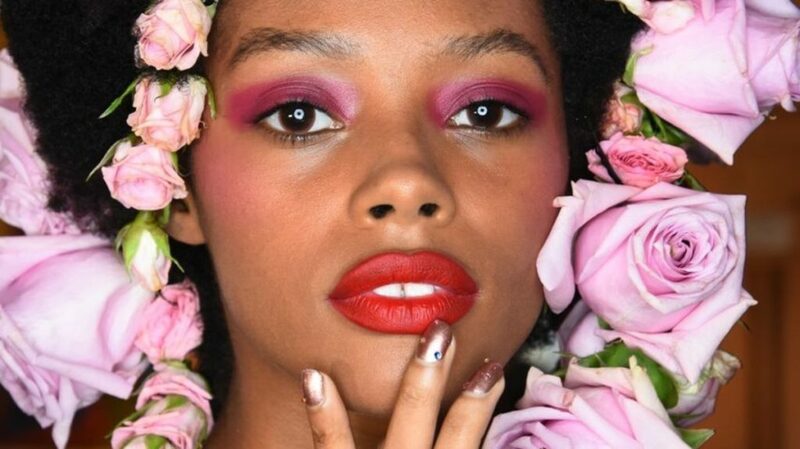 With everyone having this look down, we’re excited to see that a bold lip will be gracing 2019. Work that au natural make-up look and make it burst with a vibrant lip color. Pow! What a result. We’ve been getting our nails done for decades, and as the time has gone on, we’ve moved away from more damaging methods, e.g. Acrylic nails, to those much gentler, in that of gel nails. But now, there is a new trend upon us, so we welcome you to the powder nails trend. This new technique is said to last around one month and is much safer and softer on your nails in comparison to gel. Keep your eyes out at your salon for this new craze. Stay tuned for more 2019 inspo.